We need to talk about the Monday Must-Do-It-Alls. It’s that feeling that creeps in on Monday morning after you sit down and write your to-do list for the week—and realize how much is truly on it. The panicked thoughts start with “How am I going to get it all done?” and then quickly spiral into “I have to start working on it all ASAP.” And then, you’re off—running through the week at 150 mph just trying to do as much as you possibly can while navigating all the unplanned stuff that gets added to your list along the way. I start most weeks with a case of the Monday Must-Do-It-Alls, and it’s an exhausting—and stressful—way to kick things off. So when I started reading the bestselling book Essentialism: The Disciplined Pursuit of Less, my ears perked up when author and leadership consultant Greg McKeown started talking about the people who try to do it all, all the time. It turns out, I’m not alone in feeling like trying to do it all is only holding me back. 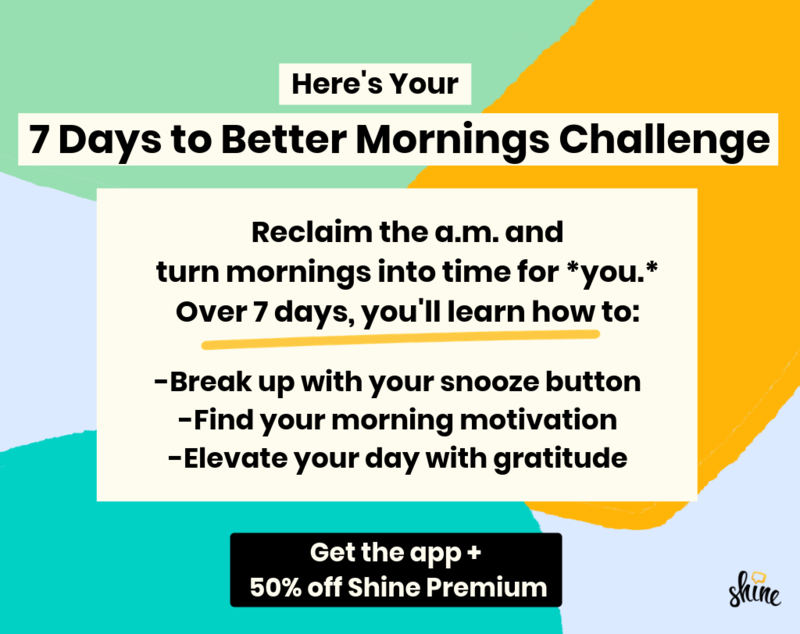 That simple yet mighty shift in thinking has changed how I dive into my weeks for the better—and it can help you with your case of the Monday Must-Do-It-Alls, too. According to McKeown’s Essentialism theory, there are things we need to get done—and then there are the right things that need to get done. All that’s to say: We perform better when we don’t try and do it all—and when we really consider what’s most worth our time and energy. Shifting your thinking from “How can I do it all?” to “What can I go big on?” forces you to focus on your biggest possible opportunity for the week. This plays to something called the Power Law, which states that “certain efforts actually produce exponentially more results than others,” McKeown writes. “What can I go big on?” helps you narrow down which tasks on your list will have the most impact and gives you permission to go after them. While both are things I enjoy doing and wanted to make time for, I only had time for one. This is what McKeown calls a trade-off, and he sees trade-offs as a good thing rather than a negative. So, I asked myself: Which one is worth going big on? The answer for me: Prioritizing the dog walk. Not only would my fur baby get some exercise, but it would also give me a chance to relax, take some time off my phone, and log some steps on my FitBit. Also: I'd probably get to bed earlier, since I wouldn't fall into a Netflix hole. The effort of walking my dog would produce more results than watching Netflix, and it'd help me get closer to the outcome I wanted: winding down for the evening. You can apply the same thinking to those bigger tasks on your to-do list. Will reaching inbox zero get you closer to your goal, or using that same time to send two important emails to clients? Will spending an hour filing that report someone might look at get you closer to your goal, or using that same time to sync with your team IRL? Becoming an Essentialist is all about weighing the trade-offs, knowing your goal, and pinpointing what's worth going big on. What Will You Go Big On? You can’t do everything. But you can choose what you will do wisely. When we challenge ourselves to make a choice about how we spend our energy, we can spend it better and get more out of it. Challenge yourself to prioritize one thing, and know that the trade-off is worth it. Shine is supported by members like you. When you buy through links on our site, we may earn an affiliate commission.